When it comes to promoting your business, brand, or events, you want to reach the right audience through expert promotional planning. Think about your overall goal and strategy you’re trying to execute, and the styles of communication you are looking to take advantage of through the process. Our strategic marketing plans have led to the development and execution of numerous events. From launch parties to grand openings and fiestas throughout the city of Philadelphia and surrounding areas, we’re proud to take control of your advertising and promotional planning. We are there for you from the initial planning through to the conclusion of the event. You can trust us to reach out to sponsors that can take your event and brand to new heights. We have a relationship with many brands that will assist in reinforcing the message of your event. Recent events from our promotional and advertising planners include the launch of a new hair line from Vivica A. Fox and a grand opening promotion for Alicia DiMichele’s boutique in Marlton, New Jersey. Advertising and strategic marketing were utilized in preparing for the La Festa Della Repubblica Italian street festival on Passyunk Ave, and each promotion or advertising strategy is put together with the same dedication and commitment. Other promotional events that have reached and exceeded a target audience include Who’s Who in Technology, the premier networking and seminar of technology professionals, and Joe Conklin’s Philly Sports Roast. Through the promotional event planning services by our professionals, you’ll see press releases distributed to local news outlets, prospect marketing initiatives, lead generation, and innovative approaches through social media platforms. In today’s digital age, you can reach your target audience by correctly utilizing social media platforms. Our promotional planners present and execute successful strategies to target your brand and raise awareness for an event. Taking the strategy a step further, we utilize unique hashtags to attract a wider audience to your brand. We have executed social media planning strategies for our Signature Event, Hair O’ The Dog with the hashtag “#hodbleedsgreen” where interested parties can win a ticket to Philadelphia’s Most Glamorous Bash. Through the hashtag, our representatives were present at an Eagles home game to encourage participation and spread the word at our HOD Tailgate party. 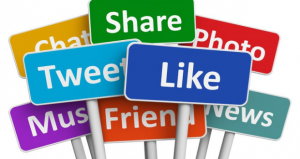 When used correctly, social media can be a powerful tool. Through shares, word of mouth, and engagement with fans, you can extend your reach and help target your audience in innovative manners through social media. Consult with us to determine the right approach for your promotional planning strategy in Philadelphia and how social media will tie into your marketing efforts. Plan and execute an appealing strategy to make your event memorable. We have worked with high-profile celebrities and brands to host parties and events with a national reach. Let us help you spread the news. Your next event is sure to be a success when you work with MetroSpect.